Posture NOW is basically a posture training armband that is connected to both the ends. This product became popular after it appeared in the well known TV show Shark Tank. 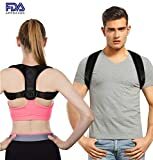 Managing to win the ‘sharks’ there, this posture correcting armband has emerged the leading contender among the many posture braces. 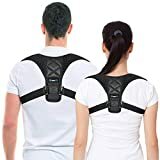 Although it is not like the other posture braces that usually have the support for the back, this PostureNow is better with providing support to the arms as well as to the back. Posture NOW has two adjustable arm bands that are connected to each other by a stretchable band in between. This connecting band goes across the back and provides support. Posture NOW is flexible and allows the arms to move freely without any hindrance. Secure the arm bands around the biceps with the help of Velcro. It has 3 adjustable slots to adjust the size. The back band is an elastic material that is stretchable and is joined to the armbands on both the ends. The back strap has adjustable loop provided. Posture NOW is basically a posture training armband. Posture NOW relies on the person’s muscles to correct the posture rather than putting pressure on them. The other posture braces uses some force to keep the muscle right. PostureNOW is entirely dependent on the muscles. Posture NOW can be worn for the first time and adjust the size as per convenience and then it can simply slip through the arms down. For putting it on, slip through the arms upwards. The stretchable back band adjusts itself for the snug fit. 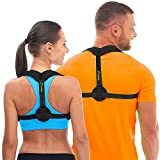 Since the arm bands and the back band are connected, once it is snug fit, the back of the body is not at ease to take the wrong posture. It stays straight all the time, without bumping. 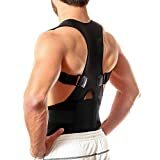 Posture brace used to be popular posture training equipment which was worn as a shirt by slipping on to the body. The main drawback for this is that it supports the back but the arms are not keeping straight by it. That part was taken care of by the person. The person who is unaware of the wrong posture is very much likely not pay attention to the arms. Arms are equally important for the straight posture. Many people tend to keep their arms forward or backward, even of their spine stay straight. This is not right. People these days are keener to keep a healthy lifestyle but fail to pay attention to their posture. It is one part of the physical fitness that is ignored. While the good posture makes the healthy perfect healthy, wrong posture is so bad that can be carried throughout the life as a real bad taste. The bad posture leads to 3 main problems fatigue, tight and achy muscles, and finally the joint stiffness, especially of the neck. The wrong posture pit extra pressure on the muscles that works more and takes no time to be tired. The muscles work harder to hold up that takes more energy than necessary. These muscles eventually make changes that cause pain and stiffness. Most of the neck shoulder and back are due to bad posture that caused the muscle stiffness. Imagine enduring this for years and what the muscle state would be by now! These muscles are bound to suffer some wear and tear, especially that in the joints. Arthritis could be one of these. The wrong posture and mobility issues can increase the risk of degenerative arthritis. Posture NOW relies on the person’s muscles to correct the posture rather than putting pressure on them. The other posture braces uses some force to keep the muscle right. PostureNOW is entirely dependent on the muscles. It is buckled at the arms rather than the armpit area. The other braces are tough on this area and can also bite into the skin. PostureNOW shows no such problems and stays comfortable on the arm muscles. It is available in different sizes for both men and women. Small and large sizes are available. This can wear inside the clothes comfortably. It does not cause any hindrance in the movements or activities. It is comfortable wearing while working out on the treadmill or anywhere. The stretchable back band keeps the posture corrected and is ease on the back. The other benefits of using Posture NOW are that it makes you look thinner by taking the right posture. It makes you comfortable and with more energy. It takes you to your full length and makes you feel taller as well. Self confidence and a feel good are added advantages. The back band of PostureNOW is a tension band and the length is adjustable. Measure the right size for you. Now keep the plastic loop on either side of the back band so that the length stays right from one shoulder blade to the other. This is the length of the back band. Next adjust the arm bands by placing them around the arms. The arm bands have 3 adjustable lengths through the plastic loop provided. Choose the ideal one for you. Fasten this length by looping the arm band end and tighten it using the Velcro provide don it. The arm band should be firm but not too tight to affect the blood flow. Fasten one arm and the slip on the other arm band and adjust the tightness in the same manner. Slipping on the PostureNOW from now onwards will just like putting on a coat. Overall the tension should be there but it should not be too tight that does not allow normal movements. The fitting should be fine when you are relaxed. When your posture is straight and correct the tension should be very low on the band. 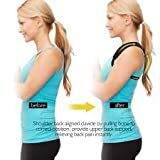 When To Wear This Posture Band? There is no particular time to wear this posture band. Anytime is the right time. Usually PostureNOW is enough to be worn for 10-30 minutes a day. Better posture should be attained within 30 days of using this way. The good posture is a habit and this 30 minutes time is enough to make the body respond positively to this poster band named PostureNOW. There should not be any pain by wearing PostureNOW. If it happens, it is most likely that you have the wrong size and you may need the bigger size of you have used all the available size adjustments on the current one. If the pain persists for longer, check with the doctor and stop using it. PostureNOW is a comfortable posture band but it is not good to wear while driving and if you are handling heavy machinery. You may wear it on any other time. Too much physical labor and heavy workouts also are not good time for PostureNOW. It should be ok to wear it while jogging on a treadmill but ideal for heavy weight workouts. Our back needs support when it is in any position that is not meant to be. The wrong posture is among this situation. When you wear the PostureNOW, it should feel free on the back and no tension should be there. When you are to bend forward or side ways you can feel the tension that the band is working to keep the body posture right or urging you to get back as soon as possible. Posture NOW urges you to ‘correct your posture now’. As long as you wear this posture band you will have the tendency to keep the posture right. When you get used to this, the body automatically responds itself, whether or not you wear the band. This is also the reason why it need not be used for long time to get the results. Barbara who uses PostureNOW states that this band makes her muscles work on keeping straight posture. She could even feel it on the abdominal muscles as well. Clyde feels that the PostureNOW slowly urges her muscles to get back to the right position. 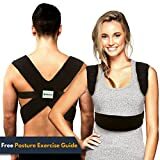 Unlike other posture brace which uses more force to get the results, PostureNOW is comfortable. Lee is another satisfied customer who almost didn’t but it with many of the negative reviews. He urges everyone to call on their gut and buy it if they feel like. It definitely works well and in no way have problem with size or tightness. What are the sizes available for women? There are 2 sizes for women, small and large. The size chart says that the small should be fitting for all the women who have the dress size 14 and below. The large size PostureNOW is for women who have the dress size 16 and above. Small is almost as a universal size for almost everyone. Is it ok to wear it the whole day? Yes, PostureNOW can be worn all day as long as you don’t drive wearing this or are working on any heavy machinery or where you need to handle heavy objects. Can I use PostureNOW for by child? Yes, PostureNOW is okay for everyone as long as the band fits well for the smallest fitting. Usually children above the age of 11 should be able to wear PostureNOW. If it fits, they can wear it for sure. It is also idea to posture train them in this tender age itself. 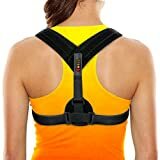 Will I be able to type wearing this posture band? Definitely! PostureNOw is comfortable to wear and will not cause any tension or force on you unless your posture is not right. You keep the posture right; you are most likely to forget that you are wearing this band. Is the product eligible for free shipping? No shipping charges must be paid in addition to the product. Does the PostureNOW product have any warranty on it? Yes, PostureNOW comes with a 30 days return policy where you can return the product within this period to get the full refund. You can get it to try it on and if found it unsatisfactory, it is safe to return.